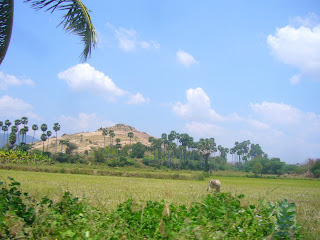 A moment captured - of the wild - on the way to Melur, a place in Madurai, TamilNadu...this place is called AzhagarKovil...the palm trees, the sky, the rock, the grass....co-existing...where is my place in all this?? I wonder if I have alienated myself from all this...what do you think? ?